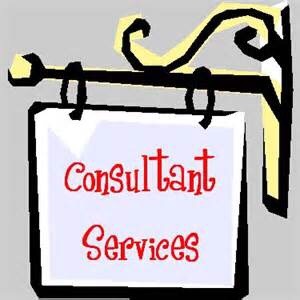 I get requests about Interim Executive Services from people that are starting to look at interim consulting as a means to make a living and/or make a difference. My first response to this question is why? What is their perception of interim executive services? What about it do they find attractive? What is their level of understanding of what is involved? Collectively, these questions address the level of sophistication of an interim executive as described by Goss and Bridson. Unless the person is legitimately interested in becoming a sophisticated interim executive, I am done talking with them. The reason is that an unsophisticated interim has the potential to cause more problems than they solve and they may be conflicted in the organization(s) they serve. I believe an organization that is interested in securing interim assistance deserves a sophisticated interim even if they do not know any better themselves. If the interim is not serious about their role as an interim and what they are really looking for is a job or to disrupt a search, I have no further interest in wasting time on them. So what is being an interim about anyway? First the bad part. You will be working long (12 + hour days) while living in a hotel in a strange town. It can get very lonely. You will be working in a stressed or distressed organization that is unstable because of prior and coming managerial transitions. A lot of people in the organization will resent your presence. This resentment has several sources. Frequently, there is remorse for the departed executive. It is common for people to feel like their previous leader did not deserve to be terminated or that they got a bad deal. These concerns are generally valid. I rarely follow ‘bad’ executives. I follow people that are no longer in the organization due to politics, the performance of their area of responsibility or the fact that they became collateral damage to other potentially unrelated turnover. Sometimes people I follow have left the organization because the executive lost credibility. In other cases, it was determined that either the organization or their area of responsibility is not meeting its mission and that things were unlikely to improve. I discuss this phenomena in an earlier blog. Sometimes a need is created when a successful executive takes advantage of a career opportunity and decides on their own to move on. Another reason for resentment is that in addition to employees seeing you ‘taking’ their prior leader’s job, they sometimes see you getting paid what they believe to be premium pay for providing your services. In addition to the resentment, there is a trust issue. People are naturally cautious about trusting someone they do not know. In a transition, there is plenty of paranoia about what you have been told, your goals and how people around you might be affected by your role in the organization. They know you are very closely connected to the Board and/or the front office and they fear your knowledge about the future direction of the role you are filling or the organization. The lifestyle that goes along with interim executive services can be brutal. Your life devolves into a two dimensional existence that consists primarily of work and sleep. You lose touch with friends and activities back home until eventually they are no longer a part of your life. Having a ‘routine’ disappears as you lose the ability to maintain exercise, a social life and healthy eating activities. After a usual schedule of four ten to twelve hour days, you get to go through the only remaining legal form of torture; air travel – up to twice per week. The expense, the hassle, the strip searches, the time and frustration of travel further eats into your time until you have little if any personal time left. Hobbies and extracurricular activities become memories. Living in a hotel and eating out every day becomes an old drag quickly. Anyone that has done this knows how fast the ‘glamor’ of being an Interim Executieve wears off. It even takes a lot of time to begin to figure your way around the town. You are in the organization but you are not really part of it. You do not share any of the culture and history and there is usually no expectation that you will be around long enough to develop meaningful relationships. Remember the ‘Replacements’ segment from the TV series, ‘A Band of Brothers?’ If not, you should look it up. You are rarely included in social activities in or out of the organization. As a result, you feel isolated and alone. Initially, no one expects you to be around very long so they make no effort to get to know you. The distance that others in the organization establish, particularly other executives is palpable. Under good conditions, you are drinking daily from a firehose, particularly in the earlier stages of an engagement. You do not know anyone, you do not know where anything is, you do not know who controls what and as you proceed through your engagement, it is common to identify issues that need attention at a rate that far exceeds your ability to address them. People are cordial either because it is the right thing to do or they feel it helps their personal cause without going out of their way to be particularly helpful most of the time. I could go on and on about this but hopefully you are beginning to get the point about the challenges of being relatively unwelcome in a strange organization in a strange town where the organization is being roiled by the effects of what is usually an unexpected turnover event or multiple turnover events. I served an organization that had released nine senior executives at the same time including the CEO and most of his direct reports. The managers left were shell shocked and some of them had survivor’s remorse. They could not function because they could not understand why they were left and some of their best friends and associates were gone. Most of these people eventually left the organization. Given all of this, the obvious question is why on earth would anyone that had not lost their mind would want to have anything to do with this kind of work? I believe there are two primary answers. The first is that there will never be a better opportunity in that organization for an Interim Executive to have a transformational impact that can literally alter the course of the organization. The second reason is that the work has the potential to be exhilarating from the intellectual challenges it presents while being more lucrative financially than traditional employment. A turnover event starts when the organization or its Board concludes that the organization of a part of it is on the wrong track and the existing leader is not meeting the organization’s needs. When the body of evidence that the situation is unlikely to improve reaches critical mass, the turnover and succession processes start. An interim coming into a situation like this finds that unlike an employment situation where you have to fight politics, bureaucracy and undermining peers to get anything done, the organization is hungry for fresh ideas, new blood and the injection of energy into an area that was perceived to be falling behind. It is common to enjoy considerably more latitude than your predecessor to make what would have previously been considered radical recommendations to get the organization moving in the right direction. Leadership and governance are actually interested in what you have to say and are considerably more likely to act on reasoned recommendations. Of course, the burden of responsibility that comes with being such an advisor is sobering because you are expected to ‘get it right’ 100% of the time. This is not an easy burden to bear. Another reason for performing Interim Executive services is what I call empowerment. Employees at every level sub-optimize routinely because they engage in self-preservation. They guard their jobs and roles at any cost. When you have nothing to lose by being fired and you have absolutely no fear of being fired, you enjoy a sense of liberation and empowerment that can only be appreciated by experiencing the phenomena. Because you have no ‘job’ to protect, you can say and do things no employee would ever consider. You can challenge the organization, its leadership and governance to do hard things if they are the right course of action for the organization even if making the recommendations puts your own role at risk. The only objective I have as an Interim Executive is to get the best result possible for the organization regardless of how I am affected. If I get run out of town for that, I will leave happy with knowledge that whether they agreed or not, they will at least be making informed decisions. I once told a community leader that my biggest concern if I got run out of town would be whether or not I could stay out of work long enough to have a decent vacation. There is no shortage of organizations needing competent, professional Interim Executive leadership services. So far, I have not been run out of a town and I have said and done things in Board rooms that have resulted in shock, awe and horror. I have pressed organizational leaders and Board members to do the hard work necessary to make their organization better. The upside of this is that I have left every organization I have served a better place and I have continuing excellent relationships with Board members and CEOs of organizations I have served. This is another of the many benefits of interim services; the residual impact of your transformational leadership in an organization will last for years after you are gone. The courage and determination you demonstrated in your efforts to achieve better results for the organization will inspire many that follow you. This probably will come across as cliche’ but the US is a great county. My wife and I have been blessed to serve healthcare organizations in many states. Every part of the country has a unique culture and climate. It is interesting to learn how certain concentrations of ethnic groups came to be located as they are around the country. You cannot learn nearly as much about an area passing through as you can by living in the community for several months at a time. These aspects of Interim Executive services can be extremely rewarding. Decision makers in distressed organizations are generally anxious to get help. I frequently encounter staff that have been frustrated by the fact that they were let down by their leadership and as soon as you establish credibility, they engage you in as much Mentorship as they can absorb. In the past year, I have received two of the most rewarding telephone calls of my life. One came from the Chairman of the Finance Committee of a hospital system that had just been upgraded by a rating agency. The first call he made was to me to thank me for my intervention years earlier. In his opinion, the results of my run in that organization laid the groundwork for the improvement in performance that led to a rating upgrade years later. The second call was with a CEO who told me that the people in the community served by his hospital owed me a debt of gratitude for my service in spite of the fact that there were only a very few members of the community that had any knowledge that I had ever been there. You might say, all of this sounds good but what about the people that came before? I make it a habit to resist criticism of my predecessor(s) or the decisions they made. In fact, I told one Board that as far as I could tell, the guy they got rid of was better technically than me. As I said before, in nearly every case, they are good people and I do not know why they did what they did. I was not there at the time previous decisions were made and I am not privy to the information they had or the pressures they were under when they made the decisions that sent them on a path toward transition. I do know from personal experience how brutally agonizing it is to go through a transition, especially if it is the first transition for that departing leader. The most common primary concern of departing leaders have expressed to me is that their successor will ‘trash’ them. I have had this happen to me and I know how it feels, especially when the criticism is coming from someone that does not know me. As a result, I have made it my habit to reach out to my predecessor and offer any assistance that I could during and following their transition. These people are not happy and initially some of them have not been particularly happy about dealing with their involuntary successor. I am very proud to say that in most every case, each of these executives have gone on to much bigger and better things and I maintain friendly, cordial realationships with them. I have been instrumental in replacing myself in several organizations including casting the deciding vote. I am happy to say that in each of these situations, my successor is still in place and the organizations are better for my Interim Executive intervention. I was blessed and honored to have the opportunity to serve in a variety of cultures, climates and communities. So if you are looking at a career move, you can handle the lifestyle and you wish to make a difference while earning above average income, you might be suited for Interim Executive Services. Obviously, this work is not well suited for people trying to raise families. I will conclude by stating that if you are married, the unqualified support of your spouse is a necessity for success as an Interim Executive. I will write an article in the future on how to qualify yourself for one of these roles. Previous There is nothing that I can do for you. Next What is the value proposition of an Interim Executive? Your article is so true. Many do not realize the less than glamorous aspects of our work. I was unable to continue for the raising a family reason mentioned above. (Though I do still moonlight on the consulting side and provide others to do this service) I also found I was able to make some life long friends at the facility, even though I was only there for 4 months. I will look for your next article in this series.